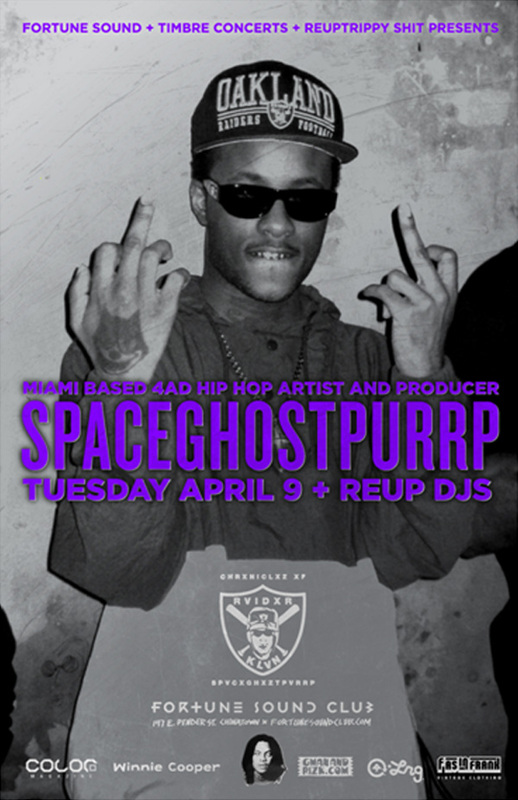 Tuesday April 9th Fortune Sound Club, REUP & Timbre Concerts present SpaceGhostPurrp with REUP DJs Genie &Rico Uno and Cherchez. 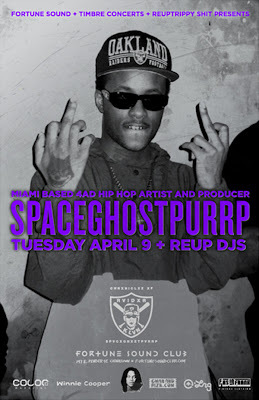 $15 advance tickets on sale Tuesday March 12th at Highlife, Zulu, DIPT, Beatstreet, Red Cat. Check the Facebook Event for more info & vids!